Join us for a weekly playgroup (10 sessions) of nature connection, rock pool exploration, nature art & craft, stories, song and discovery at Ricketts Point Marine Sanctuary. Ricketts Point Marine Sanctuary, located just near Beaumaris, south-east of Melbourne is the perfect place to introduce kids to the wonders of underwater marine life. The area offers a diverse range of habitats with its rock pools close to shore. Ricketts Point Marine Sanctuary beach playgroup is run by Stacey, who has a Bachelor of Primary Education and extensive experience teaching in primary schools, kindergartens, as an educational play therapist, and she also runs her own tutoring business. Playgroup allows parents to disconnect from their busy lives (and technology) and re-connect with their child in nature. This time is as much for you as it is for your child. Our playgroups bring together a community of like-minded parents who are supportive and welcoming. 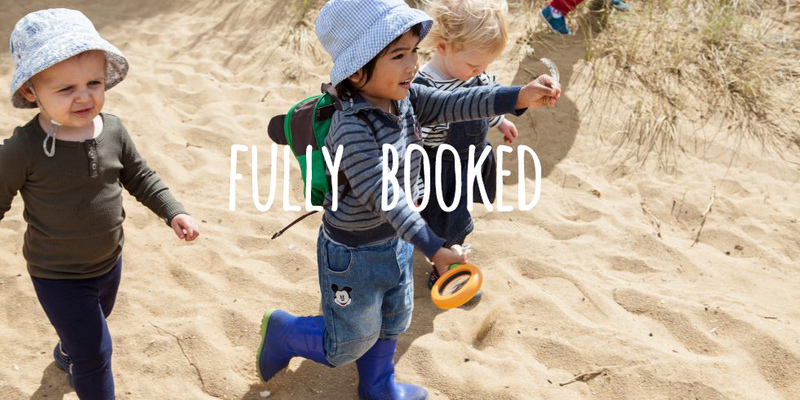 Beach playgroup is an all-weather outdoor playgroup so you need to make sure you bring appropriate weather protection and clothing. Children must have closed footwear when walking in the bush, sun hats, sunscreen, wet weather gear, plenty of snacks and water and a change of clothes. Our playgroup will only be cancelled in the event of an extreme weather warning; fire, storm, high temperatures and strong wind.